THE HAGUE, April 4. /TASS/. 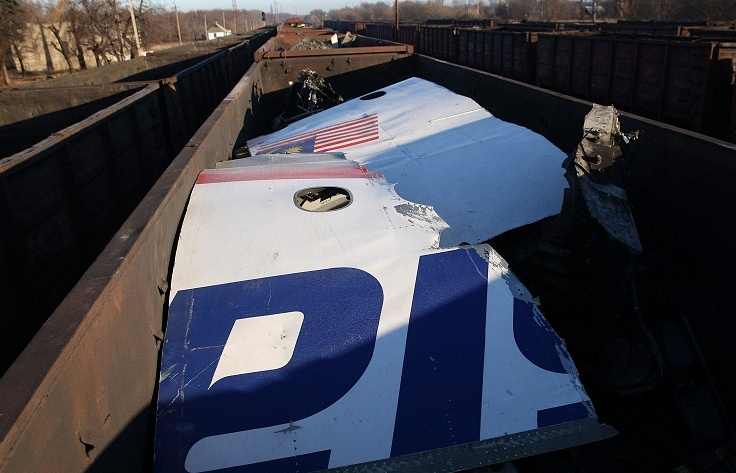 A Dutch investigative journalist argues the way his country’s prosecutors have been investigating the causes behind the loss of the Malaysian Boeing passenger jet (Flight MH-17) over Ukraine last summer is not trustworthy. 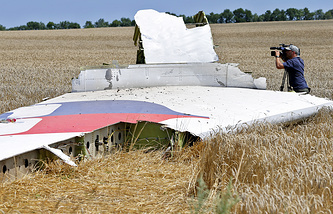 Joost Niemoller, the author of "MH-17: The Cover-up Deal" - a book exploring the facts behind the disaster, has told TASS the investigation should be handed over to a higher, international level. Niemoller argues that Ukraine has been causing ever greater pressures on the investigation. "Many factors point in this direction. For instance, a recent YouTube video, uploaded just recently, with a call on witnesses to help investigate the tragedy," he said. "All information mentioned in that video had been provided by Ukrainian secret services. It looks more like propaganda. Verifying such information is very hard, while the Dutch prosecutor’s office presents it as absolute truth." Niemoller has big doubts regarding the authenticity of the photos the prosecutor’s office relies on as firm evidence. "They are open to the general public and there has been much debate over who made them, when and where. When examined closely, the photos begin to look like fakes. There are problems with proportions," Niemoller said. In his opinion the investigators do a very wrong thing when they show these images, because "this puts psychological pressures on people and they may confirm they had seen certain things even though in reality they didn’t." "True, officially the prosecutor’s office says that it pursues various lines of inquiry. But then why doesn’t it publish other data, for instance, those presented by Russia, which point to some very different causes of the crash?" Niemoller asks. In his opinion this is a reason enough to speculate that "from the political point of view everything is predetermined." "The investigation is partial. It is focused only on one version of what happened. It must be stopped and handed over to a higher, international level," he believes. "The Netherlands should not have been made in charge of the probe at least because the country lacks the proper influence," Niemoller argues. "For instance, the United States has extensive evidence, including satellite images, which is not disclosed. The United States knows much more than we, in the Netherlands, but it keeps the information away from the general public." Niemoller believes that another, international investigation must be held under the auspices of the United Nations with Russia and the United States taking part, and the investigators must have the powers to request any data they may need. "True, this will not resolve all problems, because politics is involved, but at least it can be started from a stronger position," Niemoller concluded.